For Daughter Of Missing Hong Kong Bookseller, Activism Is Not A Choice : Parallels Angela Gui, a history student at Britain's University of Warwick, became a human rights campaigner after her father — a Hong Kong bookseller — was abducted and held in China. Angela Gui, 22, became a human rights campaigner after her father, Gui Minhai, a Hong Kong bookseller, was put in Chinese detention. She holds a photo of her father at her home in the English Midlands. 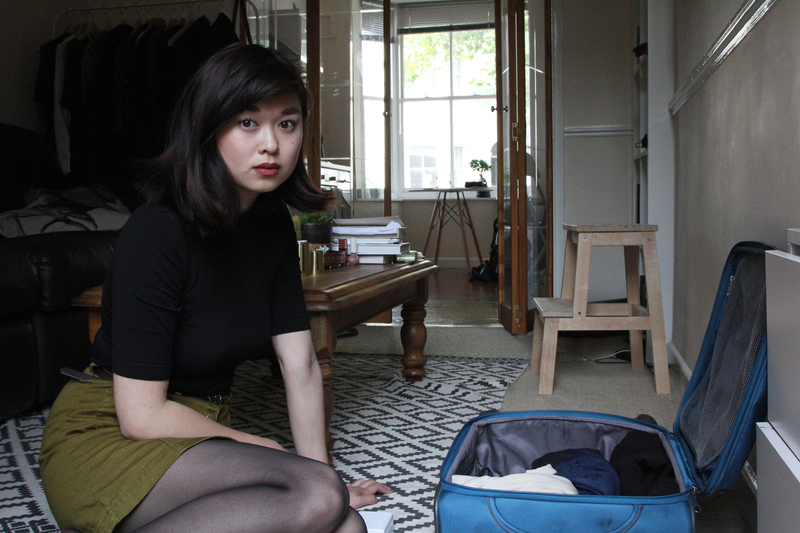 Angela Gui is sitting on the floor of her living room, stuffing clothes into a suitcase. Amid her master's degree studies and a part-time job helping one of her professors at the University of Warwick in the English Midlands, the history student has carved out a few days to spend in Geneva for human rights training. "I think that's going to be really useful, because this is something I've been thrown into without any prior experience," says Gui, a soft-spoken 22-year-old who grew up in Sweden. Until recently, Gui's life largely revolved around books and ideas. Gui's parents split up when she was young. For many years, she flew to Hong Kong to spend weeks with her father, Gui Minhai, who co-owned the Mighty Current publishing business and a bookstore. Some of the books traded in gossip about China's Communist leaders. Even though the people of Hong Kong are supposed to be guaranteed free speech under a separate political system, Gui always worried about her dad. "I asked him if he was sure that what he was doing was safe," she says. "Then he said, 'What I'm doing isn't illegal in Hong Kong and I am in Hong Kong. I've also got Swedish citizenship, so I don't see how they could try to punish me.'" Angela Gui packs for a trip to Geneva for human rights training at the United Nations. But punish him they did. Last fall, Gui Minhai suddenly vanished from his vacation condo in Thailand, which seems to be an increasingly risky place for critics of the Chinese government. This week, Joshua Wong, one of the leaders of Hong Kong's 2014 pro-democracy Umbrella Movement, was detained on arrival in Bangkok, on his way to speak to university students. One of the student organizers said Thai authorities told him they'd received word from the Chinese government to block Wong's entry. Wong, who flew back to Hong Kong, said he was relieved to avoid the fate of booksellers like Gui Minhai. Months after Gui disappeared from Thailand, he surfaced on Chinese state-run TV in tears. He made what most considered a forced confession related to an alleged traffic death more than a decade ago in Ningbo, a city south of Shanghai. Angela, who is an only child, now splits her time studying for her master's in history and trying to help her father. That's required things that don't come naturally to someone rather shy — such as traveling to London and Washington to speak before lawmakers. "As a university student, I never would have thought I'd find myself testifying before the U.S. Congress," she said during an address this year on Capitol Hill, "and certainly not under circumstances like these." Her most pressing current task: finding legal help for her father in mainland China. That hasn't been easy, either, in part because the government has been jailing the country's top human rights attorneys. "Nobody's allowed to visit my dad," Gui says. "So he can't sign a paper saying he wants to hire somebody to represent him. So I will have to do that. At present, I'm not sure exactly what I need to do." Sarah Brooks, program manager with the International Service for Human Rights, a nonprofit with offices in Geneva, is hosting Gui for several days. Brooks says her organization helps human rights defenders navigate the United Nations and figure out how it can best help them press their cases. "The U.N. is completely public and open and available and entirely confusing," says Brooks. "Angela has already done an amazing job of identifying one part of the U.N. system" that might be able to help. Brooks says if the U.N. Working Group on Enforced or Involuntary Disappearances would consider the case of Gui Minhai and make a ruling, that could help force the Chinese government to reveal where he is being held, which has remained a mystery. Strolling through her university campus in Coventry, Gui says her father's detention and her own accidental activism have changed her. "I've grown a lot, maybe I've grown more cynical," she says. "I used to think this kind of thing couldn't happen to me or anyone I knew." It's also changed the way she sees the world, and her place in it. 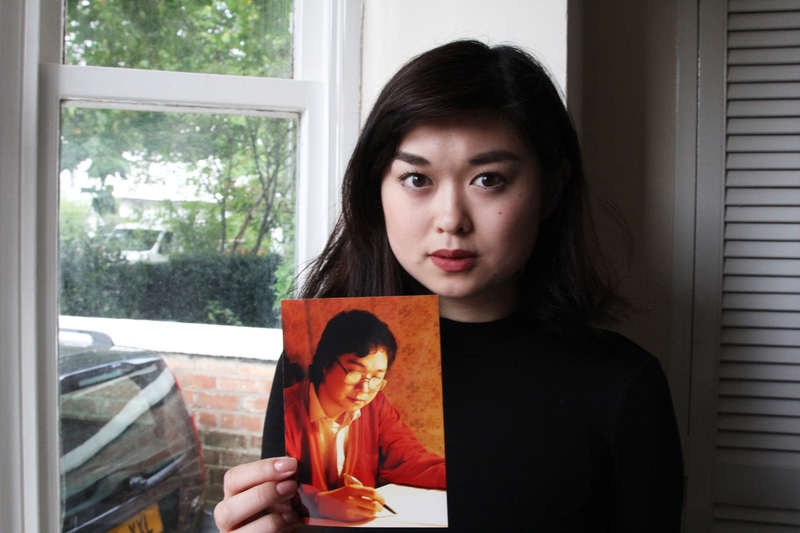 Before her father's disappearance, she planned to become an academic. She still intends to pursue that path. But now she also wants human rights and China to be part of her life's work — not just to help her father, but also others like him. "Even though I realize there are many more problems in the world than I previously understood," she says, "I'm still grateful I understand them because now I can start doing something about it."